The word of God came to Jonah, but Jonah turned away. God said to go east; Jonah went west. God said to speak; Jonah stayed silent. Did this rebel prophet thwart God’s plan? What happens when people today learn of God’s plan for their lives but choose to sidestep it? 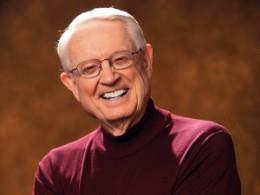 From Jonah 1:1–12, Chuck Swindoll teaches us about the God who pursues. Learn how the grace of God shines through even in the rebellious turn of a racist prophet.